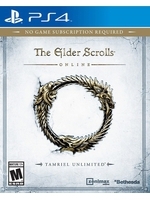 Bethesda has released a trailer for Orsinium, the upcoming game pack for The Elder Scrolls Online: Tamriel Unlimited. With over 20 hours of content (new zone, new quests, a new single-player arena, new public dungeons), the DLC will take you to the mountains of Wrothgar where the ancestral home of the Orcs is being rebuilt. It will be out on November 2nd for PC (Public Test Server later today), Nov. 17th for Xbox One and Nov. 18th for PS4 as part of active Plus membership or for 3,000 crowns on the Crown Store.